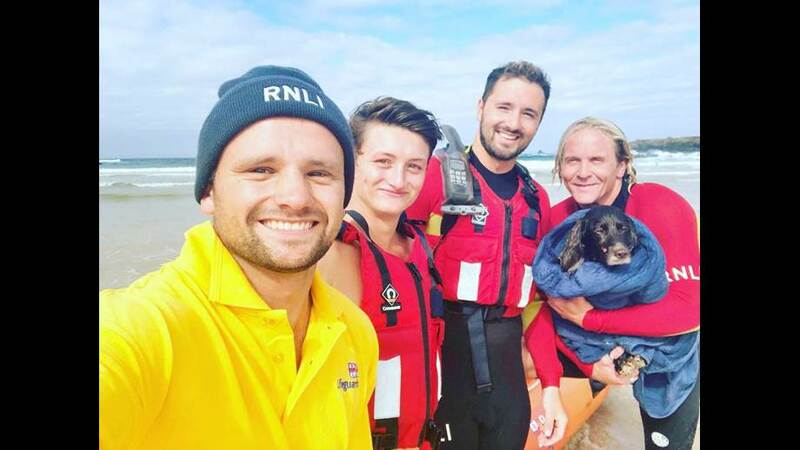 RNLI lifeguards patrolling the beaches in North Cornwall rescued Lola the dog who’s fallen 40 foot off a cliff between Porthcothan and Treyarnon on Monday (17 September). The lifeguards found her trapped at the bottom with an incoming tide. RNLI lifeguards on patrol at Treyarnon were alerted by a member of the public about a dog who had run off the cliff between Porthcothan and Treyarnon beaches. They immediately radioed their colleagues on neighbouring Constantine to request they launch the Inshore Rescue Boat (IRB). Meanwhile RNLI lifeguard Jess Humber ran along the coast path to get a better view from the cliff, and to locate the owners and her colleague Ollie Grayling responded on a rescue board to provide additional cover. The lifeguards located Lola, a Springer Spaniel trapped in a cove at the bottom of the cliff with no visible way of escape from the incoming tide. 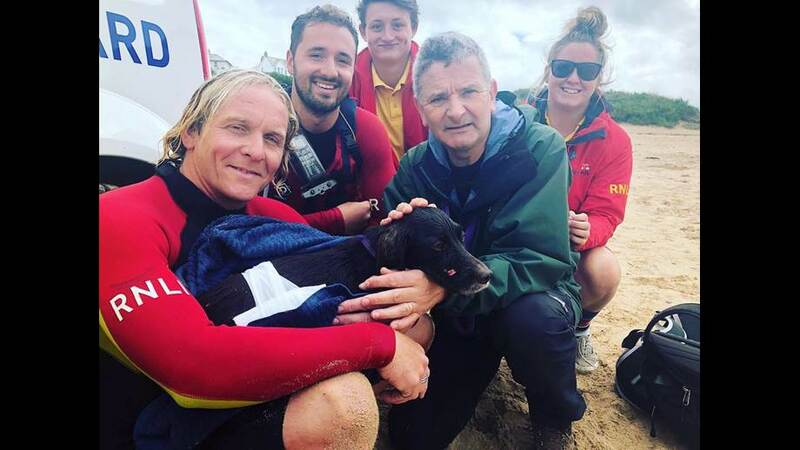 RNLI lifeguard Ed Hanwell swam from the IRB into the cove with a surfboard leash with which he was able to secure Lola and swim her back out to the IRB. Lola has sustained a few cuts and scrapes and a big gash on her tummy from her fall. Back at the beach the RNLI lifeguards used their casualty care skills to bandage up the wound and cleaned her other cuts on her nose and leg, giving the frightened dog lots of love and cuddles. RNLI media contactsFor more information contact Amy Caldwell, RNLI Regional Media Manager on 07920818807 oramy_caldwell@rnli.org.uk or the RNLI Press Office on 01202 336789. Well done to the RNLI again stepping into to rescue dogs.